2. In a medium bowl, cream together the butter and sugar. Stir in the egg whites. Add the banana, vanilla, and apple sauce and mix together. Set aside. 3. In a medium bowl mix together the flour, baking soda, and salt. Gently mix the dry ingredients into the wet ingredients until just combined. 4. 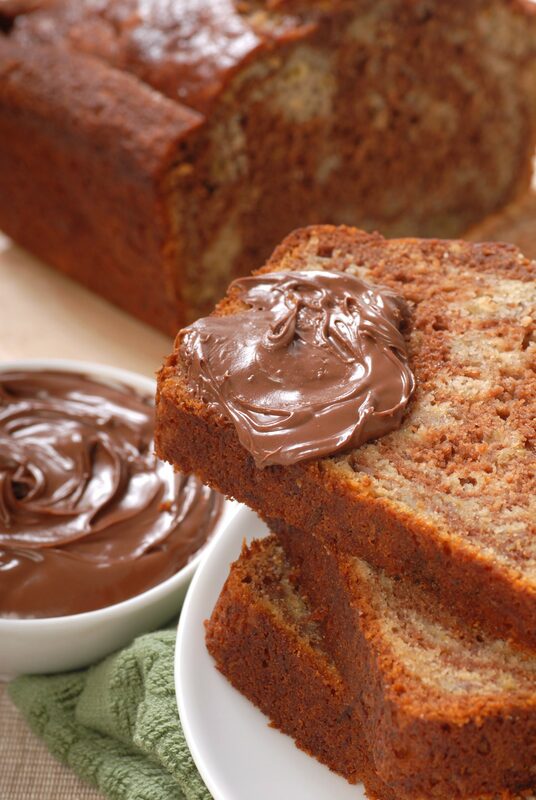 Warm the Nutella up in the microwave for 30-60 seconds until it is softer and melted. 5. Pour the banana bread batter into a bread pan. Then slowly spoon the nutella on top and swirl into the bread using a knife until all of the Nutella has been worked in. 6. Bake for 40-45 minutes until cooked through.